One of India’s premier Management Institutes, Symbiosis Institute of Business Management is back with the 27th edition of its Annual Management and Cultural Fest, Transcend. One of the largest B-school events in India, this three-day fest is scheduled to be held from 20th to 22nd of January, 2017 at SIBM Pune, Lavale Campus. Transcend 2017 with its theme of Beyond the Horizon, reinforces the need to dream big and explore the world of opportunities lying dormant. It symbolises challenging ourselves to aim for zeniths beyond our sphere of thought and reach out for the extraordinary. With over 20 events spread over different domains, Transcend caters to the interests and expertise of all college goers. From entrepreneurial to artistic, from gaming and play to gruelling and demanding, Transcend with its variety of events has something for everybody. With an exuberant start in November 2016, the official launch of Transcend 2017, in association with Red Bull Tour Bus saw eminent artists from the world of music like Dhruv Visvanath and The Raghu Dixit Project visiting the hill-top campus. Transcend 2017 is all set to raise the bar with its innovative and entertaining mix of management and cultural events. This time, in collaboration with multiple renowned artists, Transcend brings to you its Pro-Nights- Raagalogik, with their tribute to A.R. 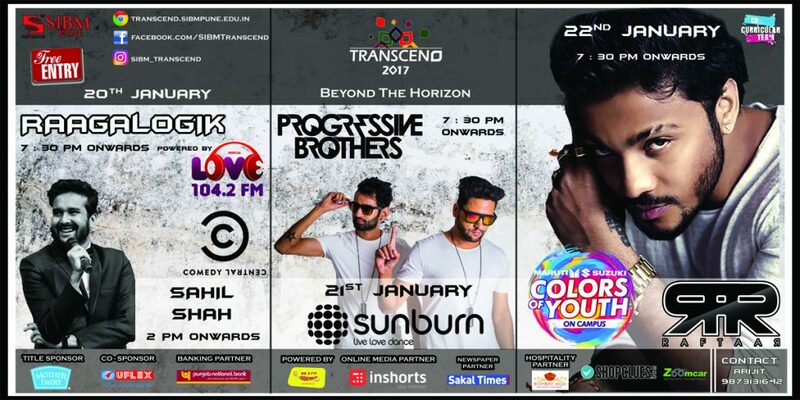 Rahman and Amit Trivedi, Sahil Shah with his comedic ventures, Progressive Brothers of Sunburn repute for EDM Night, and Maruti Suzuki Colours of Youth with Raftaar for Bollywood Night to complete the 3-day thrilling experience! With less than a week to go, SIBM Pune welcomes everyone to bring out their creativity, talent and wit as myriad challenges await! While the horizon is splendid to look at, and symbolises the end of a journey, Transcend entreats you to look beyond it! Because beyond the horizon lies excellence, where you outdo yourself, you outshine others, and finally, Transcend! 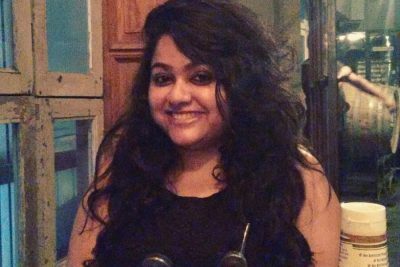 Sampurna Ray is an MBA (HR) in the making at SIBM Pune. She is interested in HR Analytics, Industrial Relations and Organizational Behaviour. When not eating or reading, she loves partying. She can be found in a Santa Claus costume during Christmas. She is also the Junior Member of the Research and Scholastic Development Team, SIBM Pune.